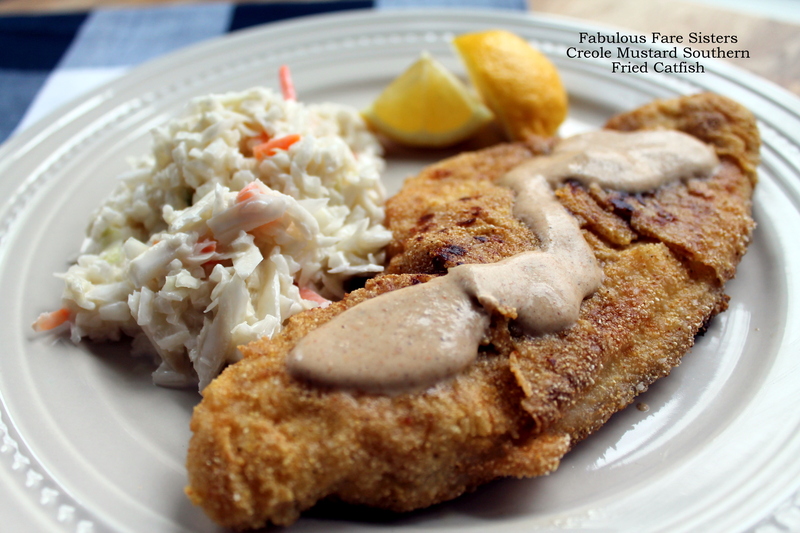 Today is ‘Fat Tuesday’ also known as Mardi Gras…so I’m sharing my Creole Mustard Southern Fried Catfish recipe…I first had Creole Mustard Catfish at a local restaurant (long gone now) and have been trying to perfect my own recipe for years…I think this one does the job…spicy and crispy with a creamy cajun sauce…yummy! In a small bowl combine 1 1/2 tablespoons Dijon mustard with 1 teaspoon Creole/Cajun seasoning; whisk well. Smear on both sides of the catfish fillets. Place the flour, cornmeal, 1 tablespoon Creole/Cajun seasoning, 1/2 teaspoon salt and some fresh ground pepper in a shallow dish; mix well. In another shallow dish whisk the eggs until lightly beaten. Heat canola oil on medium high heat in a large skillet. Dip the catfish in the beaten egg then in the flour/cornmeal mixture. Cook in heated skillet 2-3 minutes on each side; turning carefully. Meanwhile, in a small saucepan combine the light cream, Worcestershire sauce, and sour cream with 3 tablespoons Dijon and 1 teaspoon Creole/Cajun seasoning; bring to a simmer and cook a few minutes, whisking occasionally. 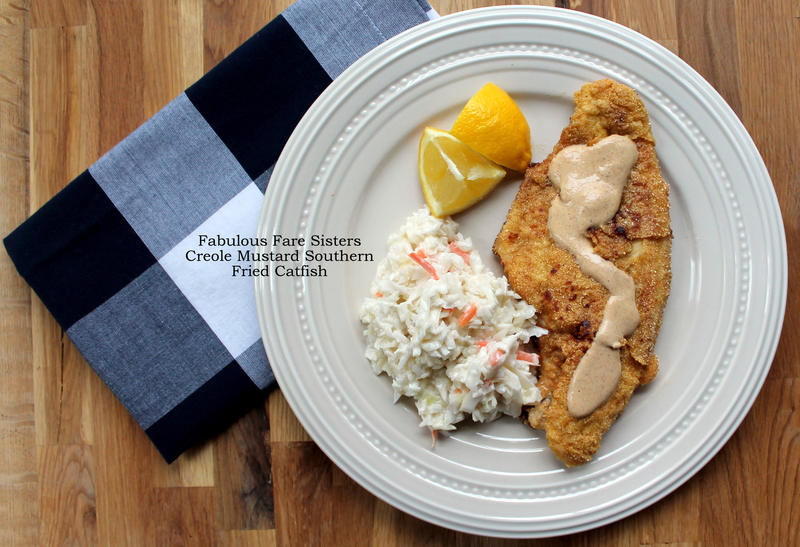 Plate Creole Mustard Southern Fried Catfish, drizzle with Cajun sauce and squeeze with lemon juice. Serve immediately. Makes 2 servings. Linda, your catfish looks crispy and delicious…especially with the cornmeal in the crust. I just want to place that on very soft and freshly made bread and have it. Yum! That sounds so flavoursome! Oh My! This just sounds and looks really good! Thank you for sharing at Family Joy Blog linkup. I’m pinning this a personal board! A easy to made lunch. Delightful! I have not had a good piece of fried catfish in eons, ever since moving from the south over 20 years ago. It’s hard to find a good piece of catfish in the PNW. It looks delicious! This looks so good. I like the cornmeal in it. I like Cajun and creole seasoning. Haven’t had catfish in forever, nicely done, Linda!